Frederick III of Ernestine Saxony, commonly known as Frederick the Wise, became the first patron of the Protestant Reformation due to his defense of Luther during the early days of the Wittenberg reforms. 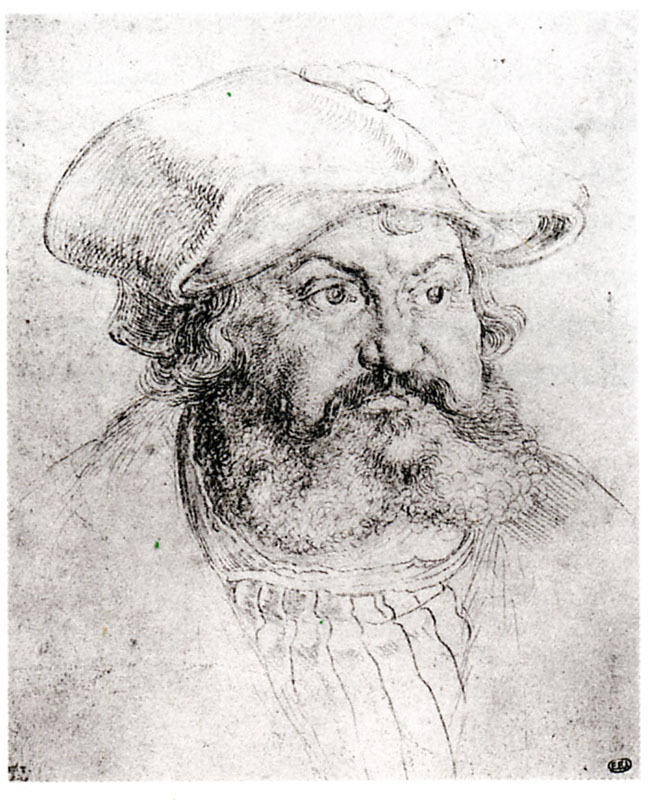 A known patron of humanist letters and art, especially the work of painters Albrecht Dürer and Lucas Cranach, his founding of the university in Wittenberg provided fertile ground from which the Reformation would grow. His relationship to Luther and Protestant theology, however, remains complex. Very little is known of his motives, politically or religiously, for supporting the reform. Whether out of obligation to a professor at the university he founded, dynastic rivalry, or sincere religious conviction, Frederick allowed the Protestant movement associated with Luther to gain important momentum during its infancy and sought its political legitimation thereafter. Born January 17, 1463, Frederick was the first son of the eldest Wettin, Elector Ernest of Saxony. Ernest and his brother, Albert, had in 1485 divided Saxony into two territories, ducal Albertine Saxony and electoral Ernestine Saxony. Receiving an education suitable to the son of a dynastic family, Frederick succeeded his father in 1486, a year after the Leipzig Division of Saxony. Though he had aims of increasing the political and geographical reach of his territory, he was not able to encroach upon either Albertine Saxony, ruled by his cousin George, or the Empire, governed by the Habsburg prince, Maximilian I. The Saxon lands were immensely wealthy due to the silver mines of the Erzgebirge Mountains, but due to their status as a latecomer to the Empire and their location on the fringes of the imperial north, the significance of the territory was limited. As part of Maximilian’s reforms, however, Frederick was appointed president of the Imperial Council (Reichsregiment) in 1500. With the death of Maximilian in January 1519, Frederick found himself in position to exert an authority that would enable the early Protestant movement to make headway. The Saxon elector was considered “imperial vicar,” which meant Frederick functionally served as king after the death of Maximilian until a successor was elected. He was also considered a favorite to take the crown. The electors themselves favored Frederick over another of their own, the elector Palatine Louis V. Pope Leo X also preferred the Saxon prince to the Habsburg candidate, Charles V, sending papal chamberlain Karl von Miltitz with the “golden rose” in the hopes that Frederick would accept the crown. Frederick did not want to become emperor, however, and he reached an agreement with Charles V to support the young Habsburg king of Spain—and to impinge upon his fellow electors to do the same—provided that Charles repay an outstanding debt to the Saxons dating to 1497. Rome finally threw its support behind Charles, whom it deemed a lesser evil than Francis I of France. Additionally, Frederick negotiated an unprecedented electoral capitulation to limit Charles’s powers. It was Frederick’s support of the Reformation that would become his most enduring contribution. In 1502, the humanist-influenced prince established a new university in Wittenberg to rival the Albertine Saxon university in Leipzig. Through Wittenberg, he became a patron of humanism and other late medieval reforms, including the Augustinian observant movement in Saxony headed by the local prior, Johannes von Staupitz. He named the noted Augustinian theologian Staupitz professor of Bible at Wittenberg soon after its founding, but the steep time demands of a prior and a scholar forced Staupitz to step aside. He chose as his replacement a friar from Erfurt, the young Augustinian Martin Luther. Wittenberg would soon become the center not only of important educational and theological reforms, but ecclesiastical and political reforms that would spread across Western Europe. The degree of theological support Frederick had for Luther’s opinions is uncertain, but he was nonetheless a religious man in his own right. He made pilgrimage to the Holy Land in 1493. He was deeply influenced by his own confessor, the Franciscan Jacob Voigt, as well as local Augustinians Johann von Paltz and Staupitz. Frederick also happened to hold one of the largest collections of relics in Europe—19,013 in all—that he continued displaying until 1522, in part because of the profit reaped from pilgrims traveling to Saxony to see them. Frederick’s relationship to Luther remains equally as ambiguous. It is likely that the two never met face to face. They communicated mostly through Georg Spalatin, confidant of Luther and secretary in Frederick’s court. The Saxon prince nonetheless chose to defend Luther and further the cause of reform. When legal proceedings had begun against Luther and the Wittenberg professor was called to Rome, Frederick arranged for an interview at Augsburg with Cardinal Cajetan. During the imperial interregnum, his status as imperial vicar gave the emerging movement a temporary political shield and a propitious window of time to disseminate its ideas free from civil or ecclesiastical recrimination. With the election of Charles in June 1519, and his subsequent coronation in October 1520, Rome was able to proceed against Luther more vigorously. It published the bull threatening Luther’s excommunication, Exurge domine, in June 1520, and then when Luther failed to recant of his views in Rome sixty days later also excommunicated him with the January 1521 bull, Decet Romanum pontificem. As a result, Luther was not permitted to defend his views at the imperial diet that had begun in January of 1521. Frederick again intervened on Luther’s behalf, convincing Charles to allow his hearing at Worms in April of that year, then subsequently protecting Luther from reprisal when he staged an attack on the trip back to Wittenberg in order to seclude the reformer at the Wartburg Castle. When Charles did publish the Edict of Worms in May 1521, thereby making Luther an outlaw and proscribing his views in the empire, Frederick obtained an exemption for electoral Saxony that again gave the Protestant Reformation freedom to continue. Prince Frederick’s support for Luther did not necessarily reflect his endorsement of Luther’s theological opinions, nor his willingness to practice evangelical religion. Though Luther was critical of the prince’s relic collection, Frederick did not cease their display until 1522. Over time, however, Frederick did come to embrace some elements of the Reformation. At the Diet of Nuremberg in 1522, the party from electoral Saxony wore the acronym VDMIÆ (Verbum Dominum manet in aeternum) on armbands as a show of support for the reform movement. On his deathbed, Frederick finally received communion in both kinds, another possible sign of his acceptance of the Reformation. He would die on May 5, 1525, in Lochau.